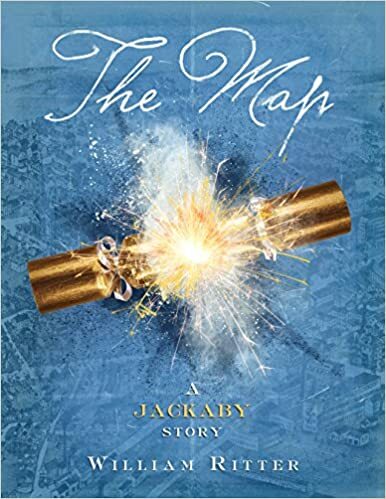 I don’t remember exactly what caught my eye about this book, if it was the cover, the blurb, the title itself, janniethestrange’s review on Cannonball Read, or any other of the many things which could have done it. But I know that I probably plopped it on to my to read list simply because I know what I don’t know, and I don’t know much about Afghanistan, even though the American war there started as I was coming into my adulthood and had definite opinions about why we were there (don’t we all when we’re young?). But this interesting non-fiction work is not about the war. It’s not even about any of the previous wars which have landed in this country. It is instead about the ways in which the residents of that country have worked around the very patriarchal system and the cultural expectations of having sons. In a deeply researched work, which quite clearly took years, Nordberg endeavors to tell the story of several bacha posh who have all been raised as boys, and some who continue to live that reality past puberty. While I am overwhelmed with the weight of the work that Nordberg has done, I feel the first half of the book treads the same territory again and again, and was at times a slog of a read. The second half, and where she truly starts to bring in the big picture ideas of how societies create the need for the bacha posh, and how well-meaning foreign aid is often counterproductive, is where Nordberg’s ability shows. I’m glad to have read this book, and have this look into a culture I am unfamiliar with otherwise. 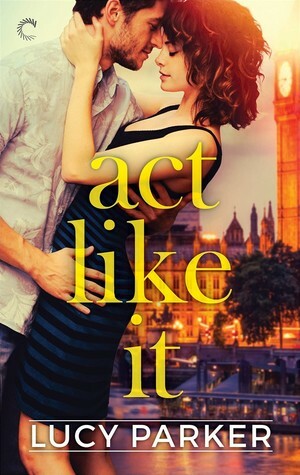 Earlier in the year the Cannonball Read Romance readers loved Act Like It by Lucy Parker. Parker is new on the Romance scene, and delivered a high wire act of a Contemporary. I rated it at 4.5 stars, and I might end up rounding it up to a 5 eventually, since I probably like it just as much as When a Scot Ties the Knot. 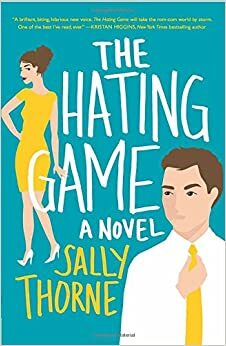 When Malin, baxlala, and Beth Ellen sang the praises of The Hating Game by Sally Thorne and compared it favorably to Act Like It, it shot to the top of the ever growing to read list. Much like Parker, Thorne delivers a Contemporary romance which features characters hovering around 30, with real weight and backstory to their characterization. It is also a similarly limited cast of characters, with the grand majority of the narrative taking place with just two characters: Lucy and Josh. The book opens with Lucy telling us about her nemesis, Joshua Templeman, and the various ways they hate each other throughout their working lives. Factor in the competition for a new position which would be Lucy’s dream job, a rough year of company mergers, lost friends, missing her parents, and zero social life, and Lucy is ready to rip Josh limb from limb to get this promotion. If only he hadn’t kissed her in the elevator and thrown her entire life into turmoil. I’m really, really in like with this book. And once the cards were on the table, so to speak, I was very much team Josh. Thorne chooses to keep the narration from Lucy’s point of view, and every so often I’d want to yell at the book exasperated with how she didn’t see what we saw of Josh’s true nature. I had him pieced together pretty early on in the book, and was relieved that the big thing I saw coming wasn’t the real big thing that had to be dealt with (and boy, did Lucy deal with it). Enemies to Lovers isn’t usually the trope that I like, but Thorne makes believable the backstory that she has in place for them, and I adored how she, through Josh, allowed the pair time to get settled into the idea of not playing all the verbal sparring and one-upmanship games which had previously populated all of their interactions. I am also an enormous fan of snuggling, and there is quite a bit of it in this book. I recommend this book for nearly anyone reading this genre and happily endorse its comparison to Act Like It. I really WANTED to fall in love with Nimona. It seemed like such an obvious pairing: Nimona the impulsive young shapeshifter with a knack for villainy and Lord Ballister Blackheart, a villain with a vendetta. These two setting off to prove the heroes aren’t always heroic? Done. But… I only liked this one and caught myself more than once skipping ahead to “get on with the story”. What were my problems? Inconsistent backstory and inconsistent characterizations. From the beginning we learn that while students at the institute, Ballister and his now nemesis Goldenloin jousts. Ballister knocks Goldenloin off his horse, and then Goldenloin uses his modified lance to shoot Ballister, taking his arm off. This sets up their being on opposite sides of any and all battles, as per the Institute, with Goldenloin and his good looks taking the role of “hero” and mutilated Ballister taking on the role of “villain”. Moving forward Ballister is onto the machinations of the Institute. Sometimes he’s out to get them, sometimes he’s trying to expose them, sometimes he hates Goldenloin, and sometimes he is in league with him. There was a vibe that Stevenson was going for; I’m just not sure she hit it all the time. Also… Nimona’s backstory. It just… didn’t come together for me. What works? The way Stevenson wrapped up her story in this world, the world itself which has magic and science coexisting beautifully, and the art itself. All of these things were great. I just wish that the story as a whole worked better for me, but I’m in the minority. I was granted an ARC of this book via NetGalley in return for a fair and honest review. This book is currently available at your local bookseller. 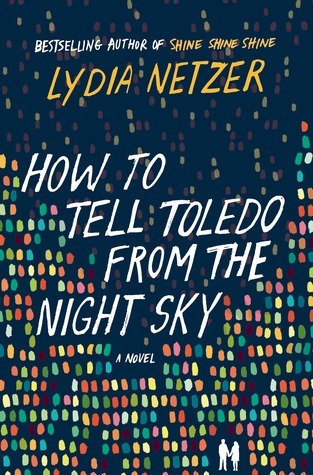 It took me a long time to get through How to Tell Toledo from the Night Sky. Way too long. My ARC copy actually expired before I was able to finish. I never really sunk into this novel. I like it, but I don’t love it. There were just too many things which didn’t align for me to fall in love, like I fell in love with Shine Shine Shine. Let’s see if I can’t figure out why. As I progressed through the novel I used the status updates on Goodreads to keep track of what I was feeling as I went. About 70 pages in the group of characters finally started to come together and stopped being disparate things. My thought at the time: “I’m wondering how Netzer will bring all the pieces together.” And the problem was that the way they were brought together wasn’t captivating. Ms. Netzer’s approach to novels is to take a familiar trope (boy meets girl) and inject it with a smidge of the fantastical (a turf war between astronomy and astrology and parents engineering soul mates). But the pieces never truly reconciled. That didn’t stop me from appreciating the characters. By the time I reach page 263 my notes tell me: “now I’m loving these characters and angry at the wasted 50 pages”. The wasted 50 pages I’m think I’m referring to are pages 15-65 or so. In those pages our two protagonists, George and Irene have yet to meet. They are each living independent lives, but most importantly they are living with great big crazy circumstances. 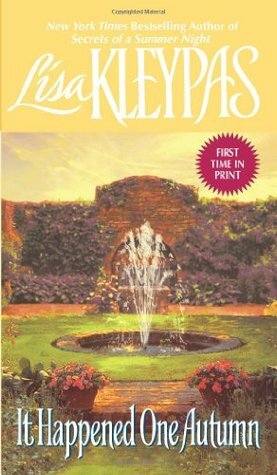 And it felt at the time like the novel did just spinning its wheels, attempting to set up the not-real Toledo of the title and the characters inhabit it instead of just progressing with the story. At times throughout the book the reading felt like walking through wet cement. There were demi gods, lucid dreams, crystal balls and black holes. At a certain point it just got to be too much, and robbed the narrative of necessary time. I had concerns on page 308 (about 90% through the book): “I’m now worried about Netzer landing this one… it’s in too many different types…” This book is many types of books tightly wrapped in less than 350 pages. Each of the genres gets shortchanged. And it’s a shame, because this book could have been 4 or 5 stars. It’s got the bones of one of the most original stories I have read in quite some time. Since the love that George and Irene share was designed and engineered by their mothers even before they were born, as the story unfolds philosophical questions come up. Such as, is it possible to influence people’s actions before they even take them by putting certain things in place before hand? In the case of George and Irene their mothers seem to have taken great pains to encourage them to like the same things, do the same activities all while ensuring they grow up apart, while at the same time hoping that one day they meet and fall in love. This is certainly the basis for a very interesting book, but somehow it How to Tell Toledo from the Night Sky just never lived up to its potential. Ms. Netzer has also shared with us one of the best quotes I have ever read about the writing and revising process. Her friend Susannah Breslin told her (and Ms. Netzer shared with us in her Author’s note) “If one of your kids had pooped all over the floor, would you stand there complaining about it? No, you would roll up your sleeves and clean it up. So clean it up.” I wish that in cleaning up the drafts of this novel that it had been fleshed out more and that Netzer had chosen a different/better wrap up for George and the demi-gods. And that secondary characters hadn’t fallen off the page in the final 100 pages. I so wanted it to be a 4 or 5 star novel.